Dr Paulo Loureiro from Brazil addresses the Creating Connections launch seminar at Beef 2015 in Rockhampton on May 5. 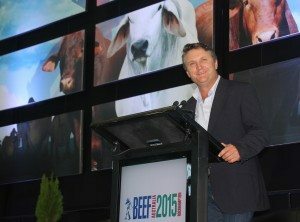 Coopers Animal Health launched the Creating Connections program at Beef 2015, part of an intiaitve by its global parent company to share the knowledge of cattle handling experts with producers to reduce cattle stress and improve overall herd health and performance. The launch of the Creating Connections program in Australia follows the introduction of the same program in the US by parent company Merck Animal Health last November. The program will also be launched in Brazil later this year. Spearheading the program are three low stress cattle handling experts and veterinarians: Dr Tom Noffsinger from Nebraska in the US, Dr Paulo Loureiro from Brazil and Dr Kev Sullivan from Bell in Queensland. Creating Connections is designed specifically around the principle that calmer cattle are healthier and higher performing cattle. Central to the program is a website which offers information and practical videos explaining how common cattle behavioral cues can be interpreted to better understand cattle comfort and well-being. The video series will be followed by additional resources, including learning modules and training seminars, in coming months. 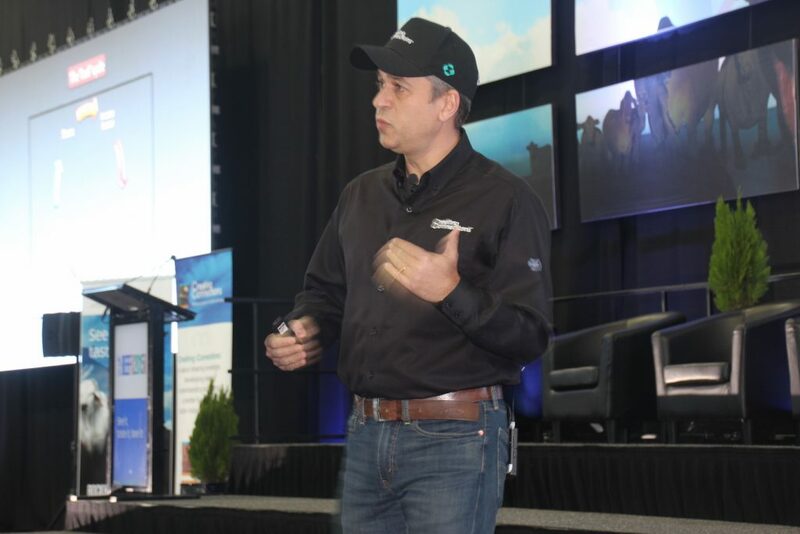 Coopers Animal Health National Accounts Manager – Intensive & Corporate Business, Rob Baines, launches the Creating Connections program at Beef 2015. 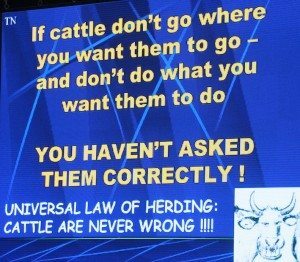 Why would an animal health company want to teach cattle producers about cattle handling practices that will lead to healthier cattle, and in turn, decreased need for their antibiotics and animal health products? 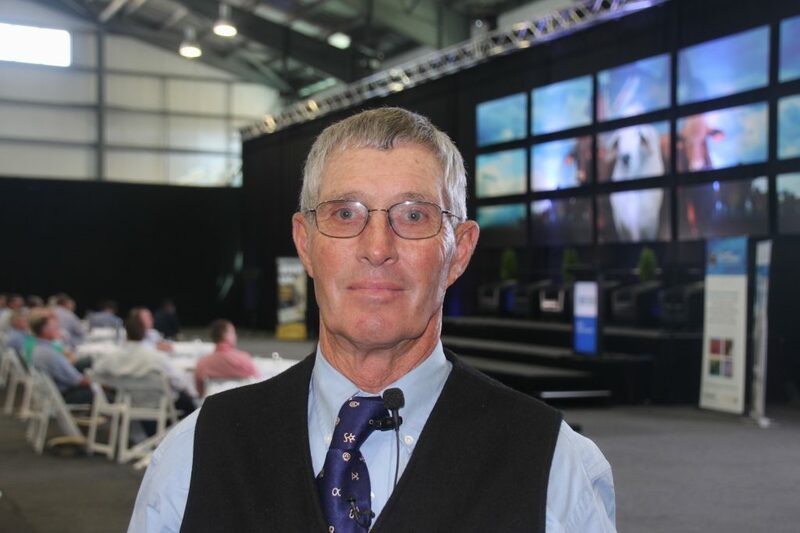 “This company understands that if you stay in business, they stay in business,” Dr Noffsinger told the Creating Connections launch seminar at Beef 2015 last week. Handle an animal poorly and you are wasting the vaccine you give it, Dr Noffsinger said. 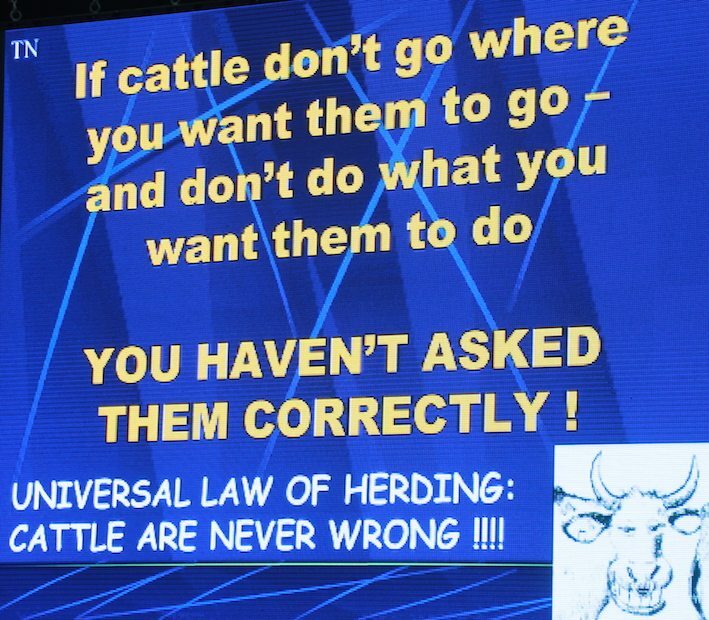 Dr Paolo Loureiro told the Beef 2015 seminar that proper handling of cattle and how people communicate with cattle was essential to their health and performance. “I believe that if you connect stockmanship with animal health you are going to have better performance – performance is a consequence of those things. For example, Dr Loureiro says, good stockmanship is essential to achieve early detection of disease. When animals do not trust the people handling them, they will perceive them as a threat and hide illness from them. “The message is quite simple,” Dr Louirero said. “If you have good handling, you have a huge impact on what you do in your business. Dr Tom Noffsinger at the Beef 2015 Creating Connections launch.